Owing to the wide experience in this domain, we are instrumental in offering Ball Screw Support Unit to our clients. - SUPERSLIDES is sole distributor of PMI -Taiwan brand ballscrews & Linear Motion Guideways in India. the range consists of Precision Ground Zero Backlash Ballscrew, Standard Rolled Ballscrew, Miniature Ballscrew. 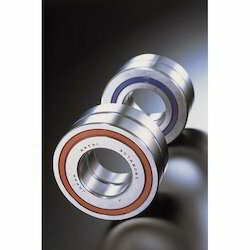 Internal and External circulations are also available in Single or Double nut type. We are manufacturer and supplier all kinds of Ball Screws required in various industrial processes. Our screw assemblies are made with the best quality stainless steel and are corrosion free. we also deals high precision ball screws of CNC, VMC, HMC etc. Our company holds vast experience in this domain and is involved in offering Ball Screw. 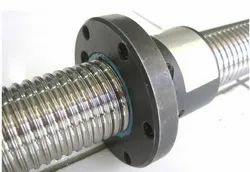 A deflector-type Ball Screw in which the right and left screws are provided with a phase in the middle of the ball screw nut, and an axial clearance is set at a below-zero value (under a preload). Ball Screw provided by us is available in quite a number shapes and sizes according to one's needs.